Be it the Golden Age of English history or the peak of English renaissance, the Elizabethan Era (1558-1603) has always been viewed very highly. Moreover, the factual knowledge available related to that era, reveals that in the England of Elizabeth, money was not an abstract concept. The money and currency of that period was all in coins and, that too, only of gold and silver. There were no copper coins and certainly no paper notes. Even the pennies were either of silver or gold. The worth of a coin was same as the value of the constituent metals. The basic denominations of the coins were pounds, shillings and pence. According to the then system, twelve pence used to make one shilling, and, twenty shillings used to make a pound. These were constant values, and, never varied relatively to one another. Sovereigns, Nobles, Angels, Festoons, Royals and crown were the name of the values that fluctuated due to the time-to-time minting and depended on their weight and purity. A gold coin worth one pound was sovereign. 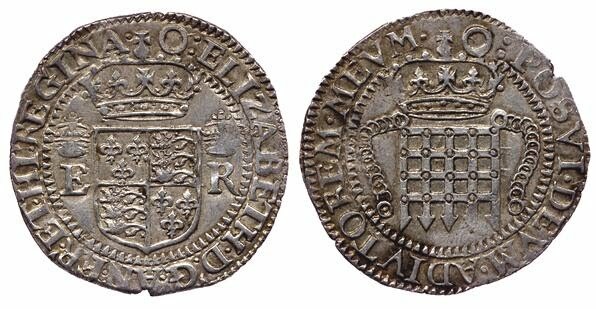 Interestingly, there was no coin called ‘pound’ until 1538, though that was the basic monetary unit. An angel was the gold coin worth ten shillings. The crown was made in both gold and silver, and, it was worth five shillings. Royal is now spelled as ‘rial’ or ‘ryal’. Gold has always been more valuable than silver and people at that time considered monetary equivalent of gold in comparison to silver more precious. The difference in the value of same denomination of gold and silver coins was so much so that the gold coins were hoarded and silver coins were circulated in the market. Thus, a seller accepted a lower price if the payment was made in gold. The “Money of Account” was related with book keeping. This term was related with the accountancy in those days. Until 1583, pound was a money of account. The weight of the silver or gold present in the coin determined the value of that coin. Gold and silver were always alloyed with other metals to make coins. Fineness was the term used to determine the amount of gold or silver present in the alloy used to make the coin. Wages/incomes of people in those days were similar to the mechanism present in today’s scenario as it was purely dependent on the job. A lot of things could be brought in lesser money in those days; those golden days of the history of England. The names of the values of the coins suggest the richness and royal life in England. Over and above all, England was already a well-off country compared to other nations of Europe. And, currency in the form of gold and silver coins strengthens the very same fact. 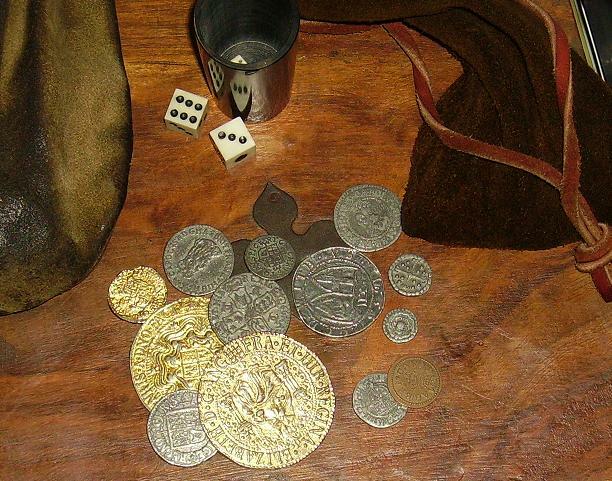 Basic denomination during Tudor times was pound, shilling, and pence. A sovereign was a gold coin worth 1 pound i.e. 20 shillings. Term “pound” came into being after 1583. An angel was a commonly used gold coin = 10 shillings (Half a pound). Crown coin in both gold and silver = 5 shillings = Venetian ducat = Flemish gelder, or a French êcu. Half-a-crown was worth 2 shillings 6 pence. The shilling was a silver coin worth 12 pence.The sixpence was a silver coin worth six pence. A groat was a silver coin worth 4 pence. A penny was a silver coin. A coin worth 2 pence was called tuppence. A half-penny was called a ha’-penny. The farthing was a 1/4-penny fragment although less practical, was used during less inflation years. Guinea came in late 17th century. So not during Tudor era. High-amout transactions like land, feudal fines, or calculating dowries was done in “the Mark” (13s 4d) or two-thirds of a pound. Daily expenses were typically in shillings and pence. Food and drink = few pennies. Pot of ale would be a penny or little more. Tipping – house servants would get tip (called a vail) of a few pence. Common vail used to be about a penny. For greasing the palms, gifts were more common than money.